It is often joked that the average bluegrass fan is in their "mid- to late-hundreds" and a common concern for us fans is whether or not the loosing of our baby-boomer faithful will leave a large enough fan base to continue supporting bluegrass bands, shows, festivals and events. 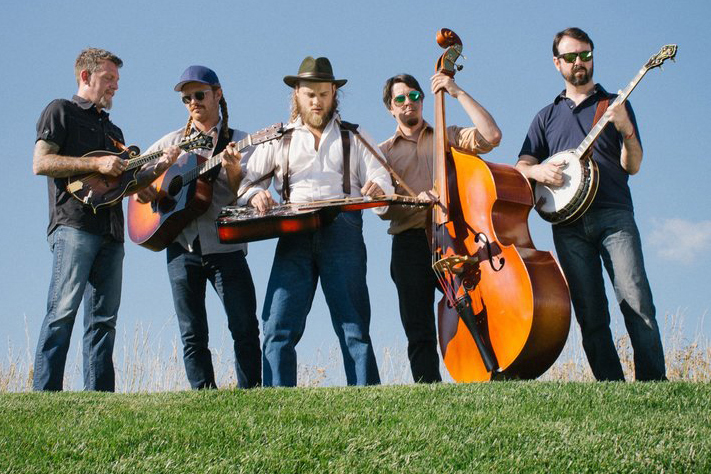 In my travels covering live, local music events for SeMiBluegrass, I have had the opportunity to witness huge numbers of twenty-, thirty- and forty-something fans absolutely loose their minds seeing bluegrass music presented in a live setting. And, better yet, it doesn't matter whether the music is dyed-in-the-wool-traditional or pushing-the-limits-progressive. It appears that fans are hungering to ditch the over-produced, electronically enhanced, culturally meaningless drivel that passes for commercial /popular music today and seek out authentic, relevant and exciting music performed for an enthusiastic, live audience. 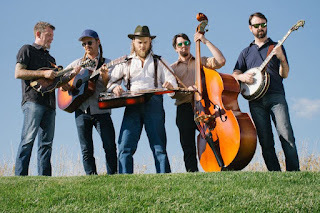 Perhaps nowhere was this more apparent than last week's album release show for Mark Lavengood's Bluegrass Bonanza's new disc We've Come Along with special guests, Thrashgrass pioneers, The Native Howl at The Ark. Like many young, modern bands, Mark is intently focused on social media and it's role in the local music scene, so it is not surprise that when the Native Howl's viral video Thunderhead (above) took facebook by storm (13+ Million views at last check and peaking at #4 on the bluegrass charts! ), Mark took notice and invited them to open for him at his Ann Arbor Album Release. It should be readily apparent that The Native Howl's internet success in not due to some cheesy, "look-at-me" online stunt, but rather, the result of their charismatic enthusiasm and zeal, coupled with hard-earned musical chops and a touch of professional production and PR. All of these were on display at The Ark where the band debuted a few songs off their upcoming CD. The "thrashy-but-grassy" title track Into the Darkness is a killer tune, as was their encore number which featured Mark Lavengood doing his own thrash-metal interpretation on his dobro! However, it was a couple of pure-bluegrass instrumental interludes the band played between songs that reminded me of what I love best about The Native Howl--their ability to relentlessly push the envelope of bluegrass music while still remaining respectful to the tradition they came from. Fans across the country will get a chance to see what I mean this summer as the band departs on their first multi-state, national tour. Fans of Lindsay Lou and the Flatbellys will undoubtedly recognize talented multi-instrumentalist and songwriter Mark Lavengood. If you've ever talked to him before or after a show, you will also know why they call him "Huggy Bear". A supremely talented dobro player (with some guitar and mandolin thrown in from time to time), Lavengood is finally emerging as a powerful and dynamic songwriter in his own right. The punfully perfect We've Come Along somehow manages to capture the depth and breadth of his talent. His ridiculously fun YouTube video take on the bluegrass standard Ole Slew Foot features not only some killer instrumental riffs, but Mark running around his native Grand Rapids, fittingly enough in--and out of--a full-body bear suit. And, not since the Bugs Bunny/Elmer Fudd collaboration on the Boss' I'm On Fire has their been a Springsteen cover as much fun as Hungry Heart. However, it is the original material on the album (and performed at The Ark) that really stand out. The title track We've Come Along is a classic bluegrassy ballad with personal and heartfelt lyrics. My person fave was Three Day Blow--another lopey and soulful ballad. Vulpes Vulpes is a flamenco-tinged cover of minor-keyed lament from a previous band--and a keeper! The deeply personal and politically oriented America is a perfect closing number to the album. Part of the allure of the album is the young, but intensely talented bluegrass pickers with whom Mark chooses to collaborate. The Bluegrass Bonanza features the indomitable Jason Dennie on mandolin who has the musical chops to be a standout on any stage, but plays the perfect sideman behind Huggy Bear with rock solid rhythm and tasteful fills interspersed with mind-melting mandolin solos. I remember banjo-phenom Keith Billik from his early work with The Flatbellys, but his standout take on melodic-style banjo picking simply blew my mind this night. I swear, I think he has seven fingers on both hands! No band is complete without a dynamic rhythm section. Mark has assembled one of the best with groovy bass standout Spencer Cain and the unique rhythm / lead guitar style, and phenomenal harmony singing of Kyle Rhodes. When these five get together, hold-on, as they take you on a journey through bluegrass' past, present and future. Oh! What a Ride! More pics below. Please feel free to share and tag freely with Credit to SemiBluegrass.com. Follow SeMiBluegrass on Facebook for more great live, local and acoustic music in Southeast Michigan.